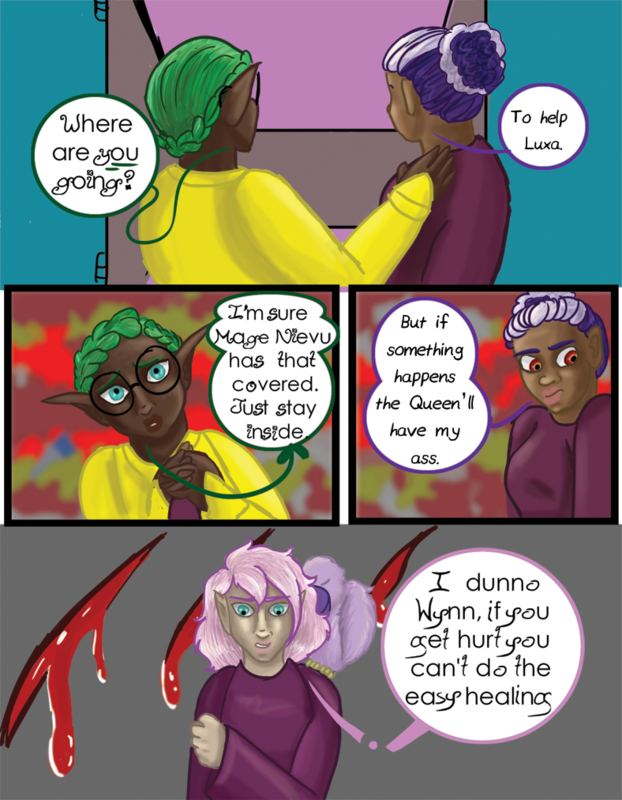 Chapter 08 - Alarm - "Chapter 8 Page 5"
Wynn wouldn’t need any convincing if Nazmah wasn’t yknow.. a giant scary snake lady. Shirley: Where are YOU going? Shirley: I’m sure Mage Nievu has that covered. Just stay inside. Wynn: But if something happens the Queen will have my hide. Siyav: I dunno Wynn.. if you get hurt you can’t do the easy healing.